The argument could be made that this review does not belong on a metal site. At the same time, we have long ago decided to allow for broadening our own horizons a little bit. Besides, this album, Erika szobaja, belongs to somebody who has achieved a considerable status on MetalReviews.com. 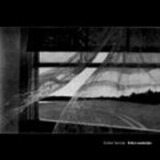 Erika szobaja just happens to be a 2005 release of ambient, largely piano and keyboard oriented music by someone who brought us Thy Catafalque, one Hungarian talented musician named Tamas Katai. I think with this pedigree (and the techno revelation Gire to boot) Tamas can have any album of his reviewed here. When I was in my early teenage years my parents wanted me to play piano, but every piece I played came out allegro fast, since I was in the rush to come join our neighborhood soccer game. Only later in life, in my early 20s, all of a sudden I got appreciation and enjoyment from playing piano, but the time to learn the skills was gone. Tamas obviously had his talents explored to the fullest, and on top of being a skilled piano player, he is also a composer who always managed to captivate me. Erika szobaja never got tedious and out of all of these quiet and introspective tracks only Night-light is the one which went by me, as it feels more like an incomplete interlude. Although most of the pieces on Erika szobaja are shorter complete stories, there are some (longer) tracks which do unfold as a series of sketches. The walk in the woods with twigs crunching under your feet changes to walk by the sea in Autumnbringer, and the opener Winterwater projects serenity and ambiance, growing stronger, while the trickle slowly grows into a river with ice crushing all around. What unites many of these compositions is deep, warm, penetrating piano sound with the tender draw from these chords becoming plain irresistible (In Rain You Ran, Hoarfrost). It is also clear that Tamas must have his zodiacal sign associated with water, since he is absolutely incomparable drawing on that force of nature. In Rain You Ran starts out muffled, but then becomes a downpour, and Hoarfrost alternates those cold and warm droplets with the cello adding depth. There are traces on Erika szobaja which will help you understand where 'Neath waters on Tuno Ido tarlat came from, if you listen carefully to Renoir's Garden. This piece which has more bells and whistles than many others on the album and is quite dramatic, almost Tchaikovsky ballet in spots, mesmerizes with its 1-2-3 waltz rhythm. The Road Getting Wet, another piece which reminded me of Thy Catafalque, is less classic piano and more electronic, but also draws on water power, with the strings providing organic feel. Colder withdrawn Dense Valleys are Your Blanket with its off-hook phone pulsating intensity is something else which stood out from the overall more held back, personal serene flow. Green wood manages to inject a folky cheerful angle with its pinching guitars and birds chirping. Another interesting angle to Erika szobaja is the fact that unlike many other albums of similar ilk, the album's most tracks have beautiful poetry associated with them, with only Renoir's Garden and In Rain You Run being instrumentals. Delivered in Tamas' native Hungarian the lyrics add to both personal flavor and mystique. I only had Erika szobaja as a CDR copy from a few years back, but once I learned from Tamas that the CD is now available as a digipack I jumped at the chance to purchase it. I recommend this CD to you, if you are capable of plunging into the introverted piano dominated music and enjoying it. The quality of this release is just as good as anything else which came out from Tamas, and this, honestly, does not need for me to numerically quote it on our metal site.